Imagine this. You cannot believe your luck that the new girl in school who is as beautiful as the sunrise, is willing to date you! You fall deeply in love with her. On a fine day while having a romantic candle-light dinner with your gorgeous girlfriend under the star-lit sky, with a cold wind blowing, she just . . . disappears, into thin air. Baffling, isn’t it? That’s exactly what happened to Siddharth a.k.a. Sid. Where did she go? What happened? How can this happen? Read the novella to find out the mystery of the invisible girlfriend! 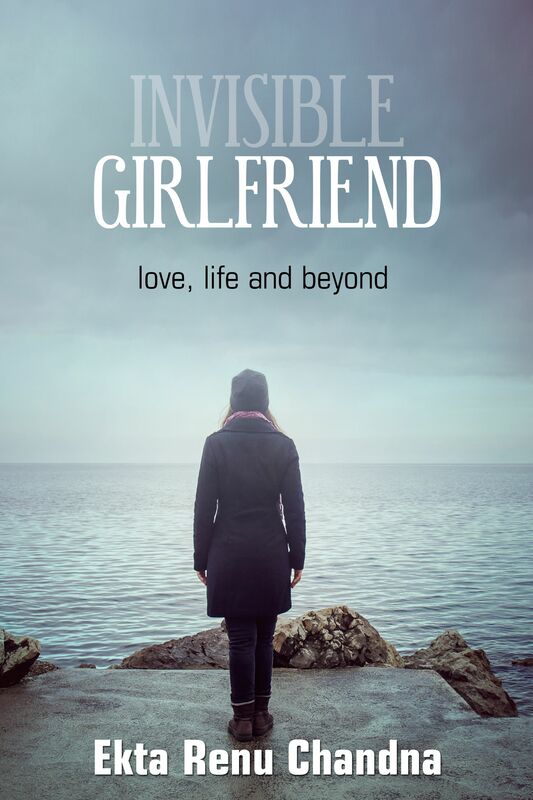 Invisible Girlfriend is a unique tale of love that you have never encountered before! Ekta Renu Chandna post- graduated from Bharati Vidyapeeth University with a degree in Marketing. She lives with her parents in Delhi. She is a day-dreamer and is fond of conjuring up stories. This is her debut book, inspired by her dream.